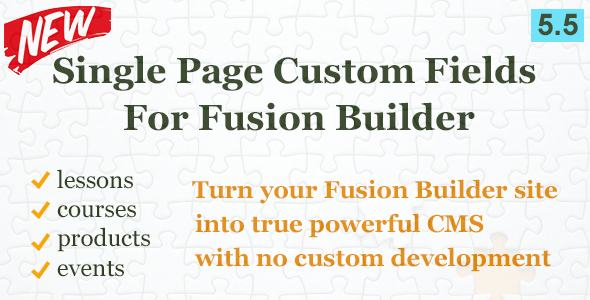 This plugin adds a new element to the Fusion Builder called Custom Field. This element allows to display a Custom Field in the Page layout. 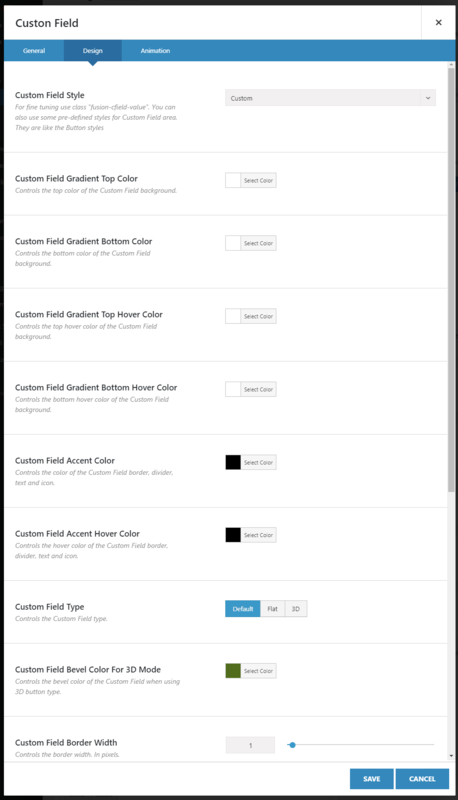 You can display unlimited number of Custom Fields per Page. 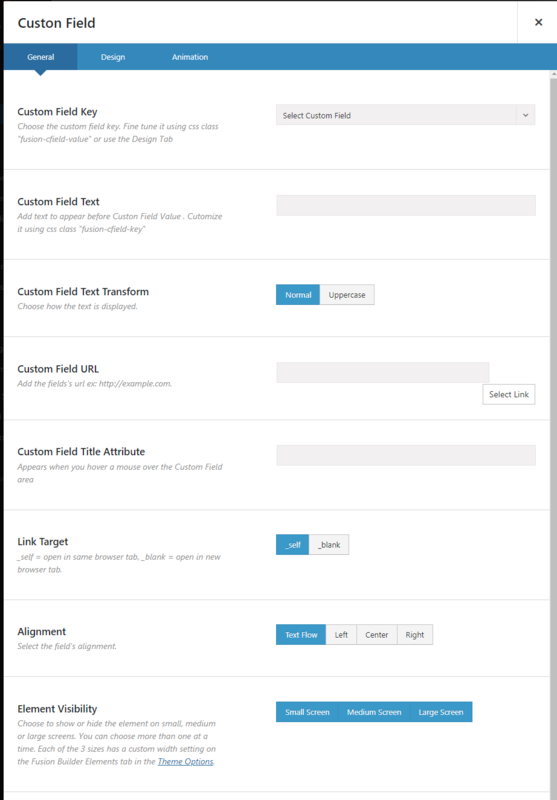 This also works for any Custom Post Type that you design with the Fusion Builder. This element has plenty of design options which are similar to the Button element. Please see the Demo of this plugin. Limited ACF support. The element can display any text or number custom field, even if it is created by ACF plugin. Advanced non-text formats may not work properly.